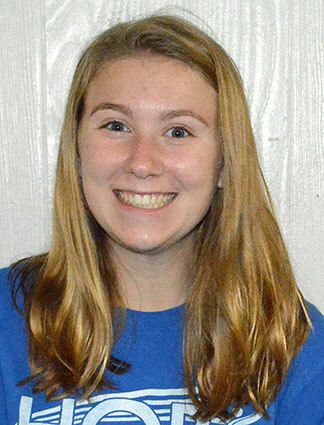 The Decorah bowling teams went toe-to-toe with North Fayette Valley at Oneota Lanes Friday night, as the girls’ improved to 2-0, with the boys’ squad getting edged out. Despite winning 2,031 to 1,466, the Lady Vikings had been hoping to roll out a team score of 2,150 to 2,200. Baker scores for the girls were 134, 114, 150, 127 and 110. Maddie Putnam found her groove with scores of 148 and 176. Other varsity scores were Lexie Hauber (123, 152), Moriah Grinna (134, 138), Katherine Bruening (129, 138) and Ann Meirick (139, 119). Annika Lensch was also on the lanes, garnering scores of 114 and 126. In the varsity boys’ match, the Vikings were inconsistent putting up 2,451, falling to the Tigerhawks’ 2,535. Baker scores for the boys were 162, 153, 188, 132 and 131. Leading the charge for the Vikings were Tyler Thompson and Justin Redenius. Thompson put together games of 226 and 149, while Redenius tallied 166 and 205 scores. Other varsity boys rolling balls down the lanes were Breydon Johnson (177, 179), Keagan Einck (150, 160), Luke Iverson (149, 124) and Nolan Jostand (114, 106). The Vikings will return to competition at Viper Lanes in Oelwein versus the Huskies Friday, Dec. 7, at 4 p.m.